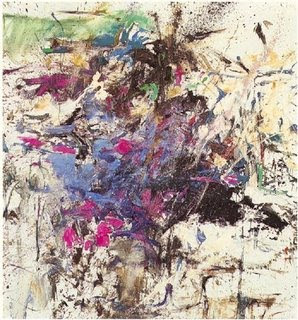 After perusing "Artful Approach" from March's issue of Elle Decor, I became obsessed with the artwork of Joan Mitchell (1925-1992). 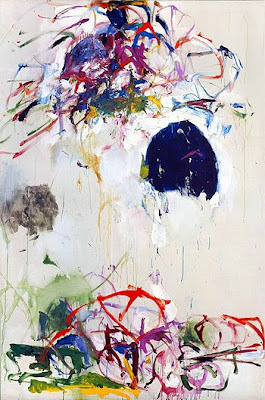 There was something about the painting (shown below) that I fell in love with. I started to do a little more research on Joan and fell more and more in love her work. 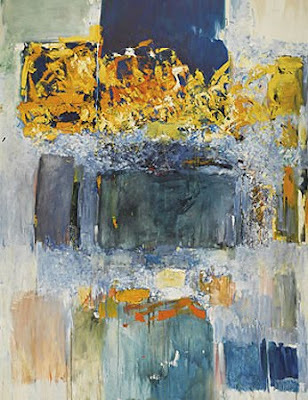 2 weekends ago my friend Paula and I went to the LACMA and viewed the Renoir exhibit, but I was even more excited when I saw in their contemporary art gallery an original Joan Mitchell, "East Ninth Street" (1956) (no photography allowed). 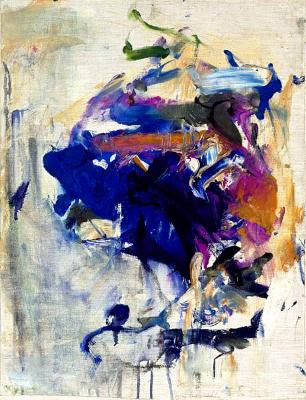 Here is a little collection of some of Joan Mitchell's beautiful abstract expressionist paintings. 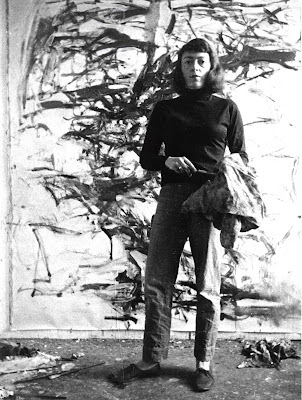 I love Joan Mitchell too! 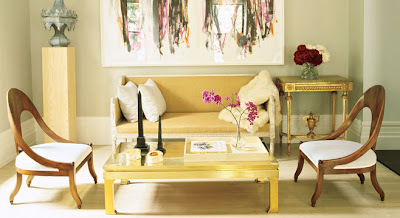 Her gesture and color combinations are so soulful! Thank you for posting these!